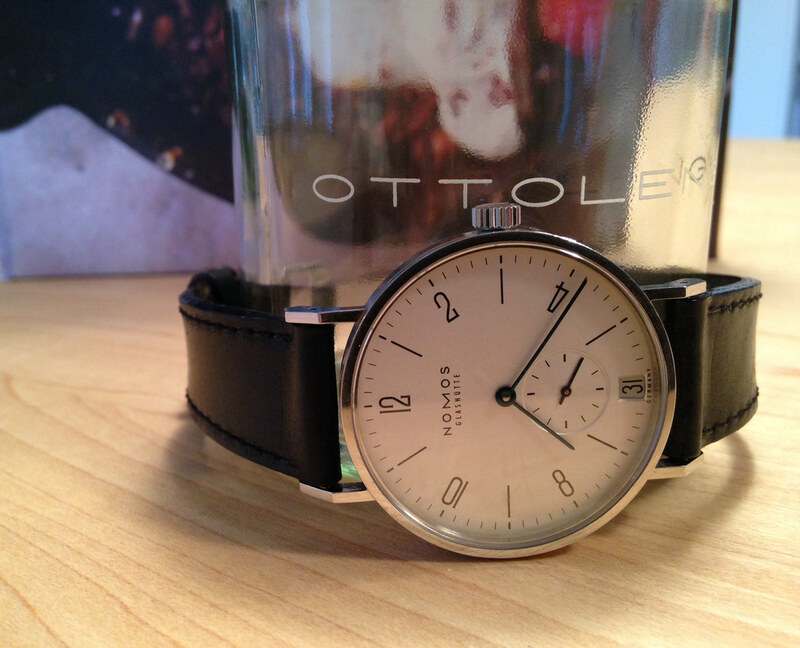 I am selling a NOMOS Tangente Date, ref. 107. This is NOMOS's signature watch, the Tangente, with date, in the original, classic size, 35mm. With such an unadorned dial, extra-thin bezel, and long lugs (44mm, point to point), this watch wears larger than its size. 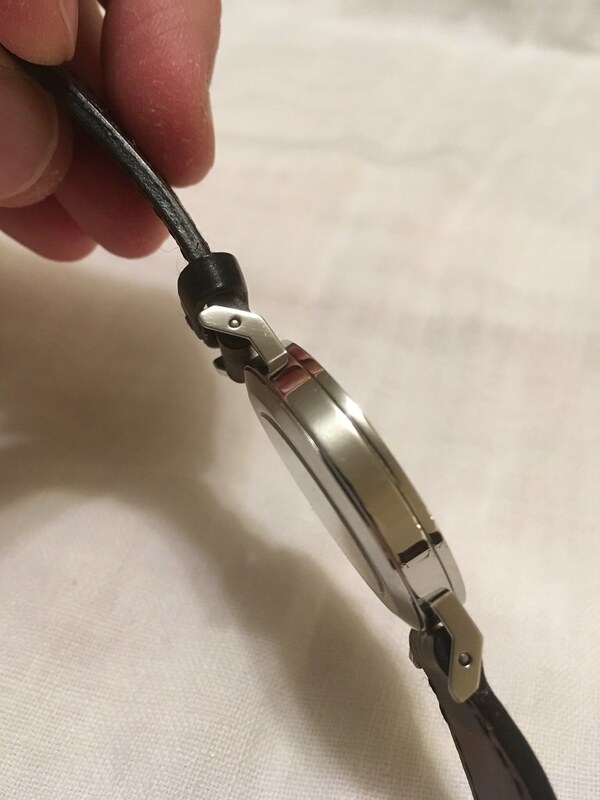 This watch is in good shape. I would rate it between Very Good and Excellent. The case has swirlies and and some small scratches, but no dings or dents. The dial is in pristine condition. This watch comes with the original box and instruction manual. Because the old strap is in terrible condition, I am including a new NOMOS strap free. (That's a $110 value.) 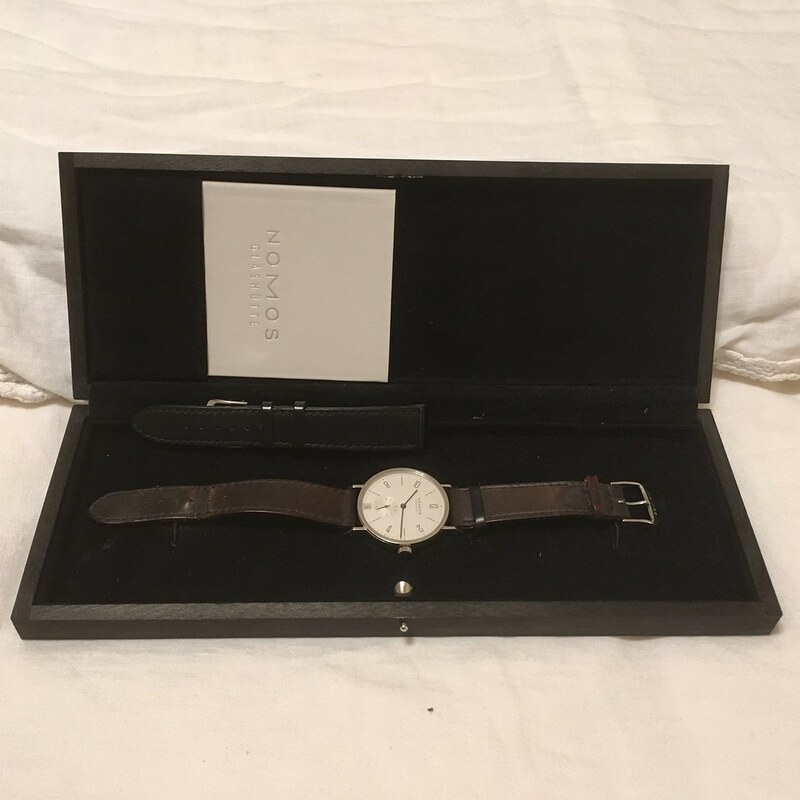 I am the original owner of this watch, and it was fully serviced by NOMOS in June 2016. A new Tangente with date costs $2780. 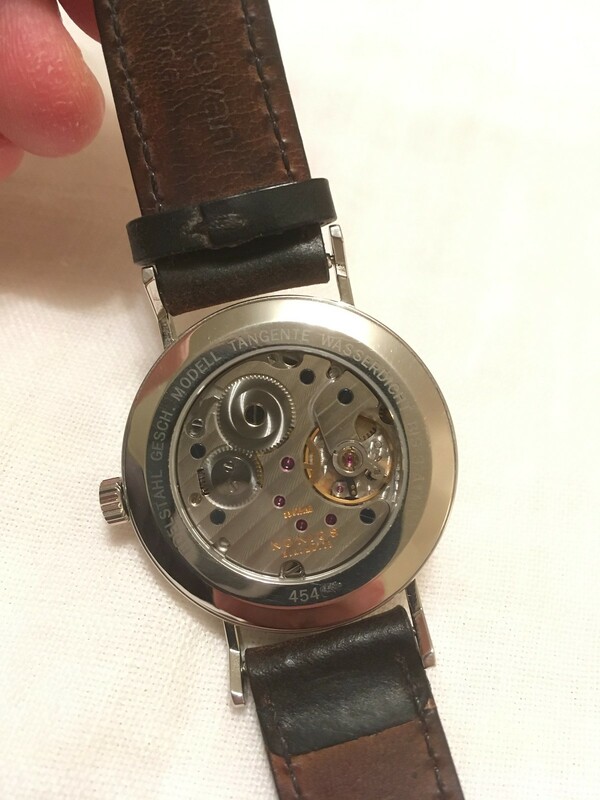 I am asking $2200 for this watch, shipped. U.S. only. Wire transfer or USPS postal money orders only.